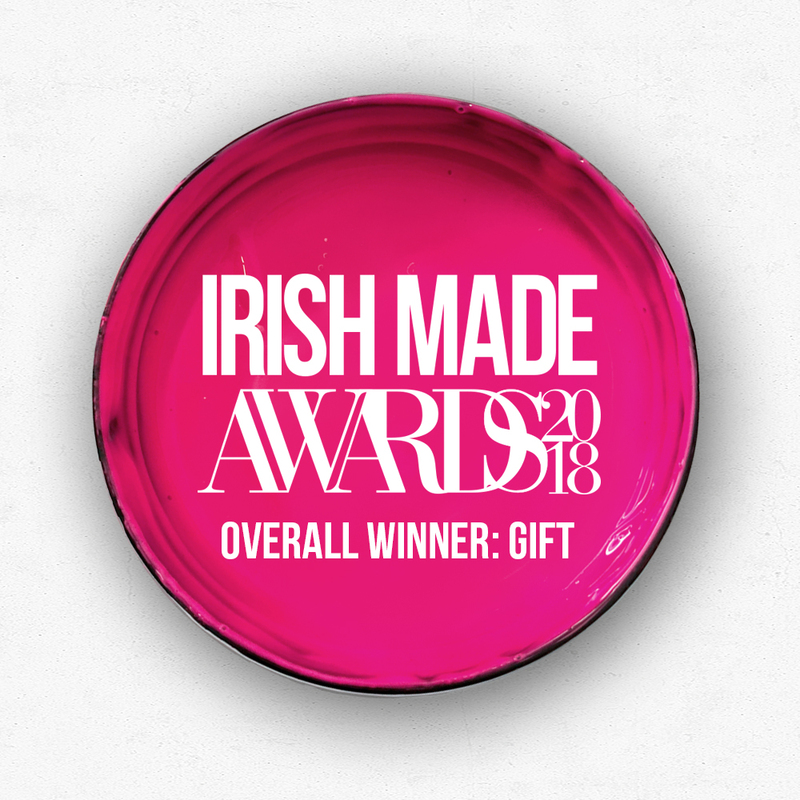 This is our second consecutive year to win the award and we'd just like to say thanks a million to each and every one of you who voted for us and to our stockists, our customers, our family and our friends who have supported us from day one. Honestly, we couldn't have done this without you all. Huge thank you to all the guys in Irish Country Magazine for these awards and for highlighting and promoting the very best in Irish design. Making all of our products in Ireland and sourcing all of our materials from local suppliers within the isle of Ireland is something that is incredibly important to us and is something that will never change. It’s really an amazing feeling to win an award that was voted for by the public, so a massive thank you to each and everyone one of you who took the time to vote for us, it made all the difference. It's moments like this, that make all the early mornings and late nights so worthwhile.